Benedict Cumberbatch's voice brings resonance while design shows a multicultural flair. He's the biggest star of the movie so there was a lot that went into creating Smaug, the dragon the size of a 747 that rules over Erebor with greedy malevolence in The Hobbit: The Desolation of Smaug. 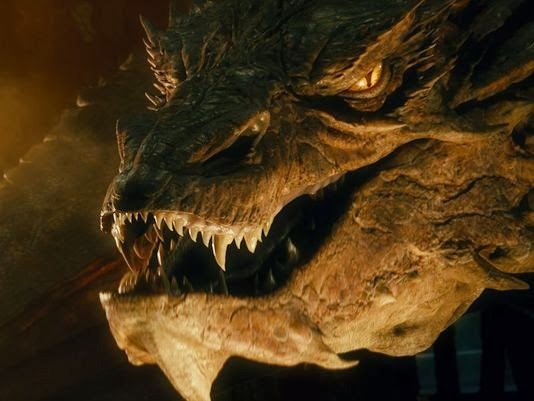 Here are five things you need to know about the huge beast that helped the Hobbit sequel rule the box office this past weekend. 1. His resonance comes from a human counterpart. doesn't he just eat him? 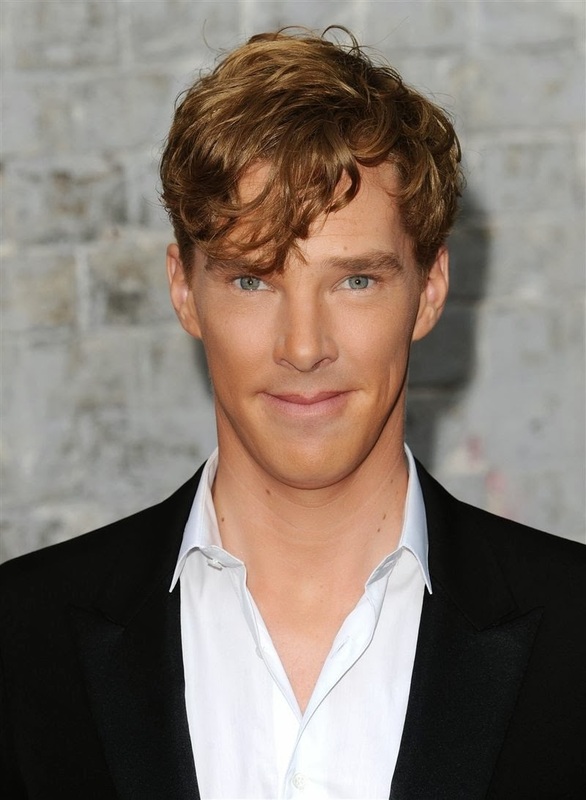 Bilbo starts to engage him and you need to have this drama happen between the two. Smaug is feeling in a way kind of flattered but also wary. You've got a head the size of a bus talking to this little hobbit — how do you get something that big to have that kind of personality?" 2. Smaug shows his age. After Letteri's crew figured out his personality, they moved on to his body, which is covered in dead skin and scars to show how old he is. In doing that, though, they also had to pay attention to the physics of how all those scales of Smaug's would look and move as the dragon slithers through millions of coins in a confrontational chase with Bilbo. 3. The dragon's mouth was a different kind of challenge. When Andy Serkis did motion-capture to play Gollum in the first Hobbit movie, it was for a character with a humanoid face. 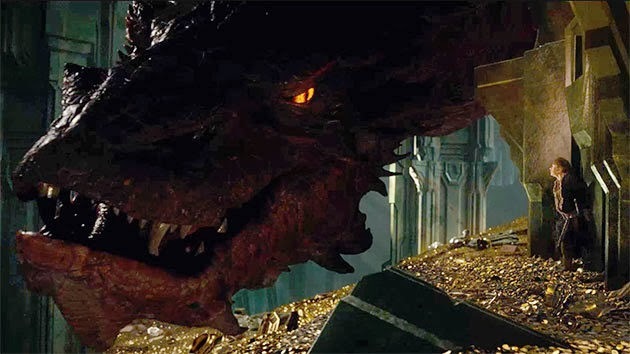 With Smaug and "all 10 yards of his lips," however, there were other considerations, Letteri says. "He's got this huge jaw that goes all the way down to the back of his mouth than humans don't. The equivalent jaw movement on a human to make sound like a syllable would translate into this really, over-large movement on the dragon." 4. He has fire in his eyes and chest. 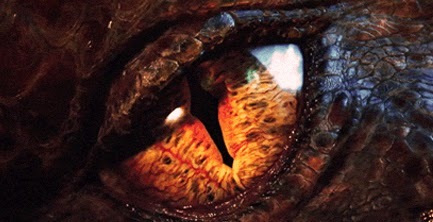 Smaug's yellow eyes change with his emotion — dialogue moments show the reflections in them, but they glow like embers when he gets angry. And when he prepares to haul off with flame from his mouth, his chest builds in reddish intensity the closer he is to unleashing. It also adds some anticipation when it's bright crimson and one doesn't know what's going to get cooked next. 5. Multicultural influence abounds in his look. In the Smaug design, Letteri used a classic European feel but also that of a long, thin Asian dragon from legend — audiences see the latter when he takes flight in The Hobbit. In the original book, J.R.R. Tolkien describes him as a worm, and "we kept going back to that," Letteri says. "You'd think a big chest for a really powerful dragon, but then you realize if you want him to slither through the gold, you have to slim that down a little so he can be more streamlined. It was just playing back and forth about what he needs to do, and then shape his body to make that work."